Sears School District! 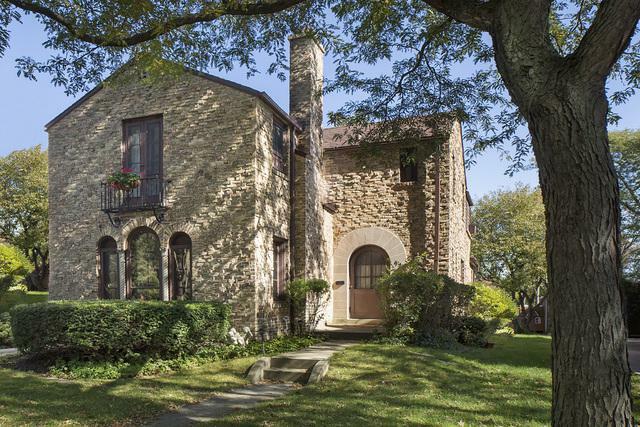 Wonderful brick Mediterranean home exudes charm of yesteryear. Beautiful entry with gorgeous arched doors. 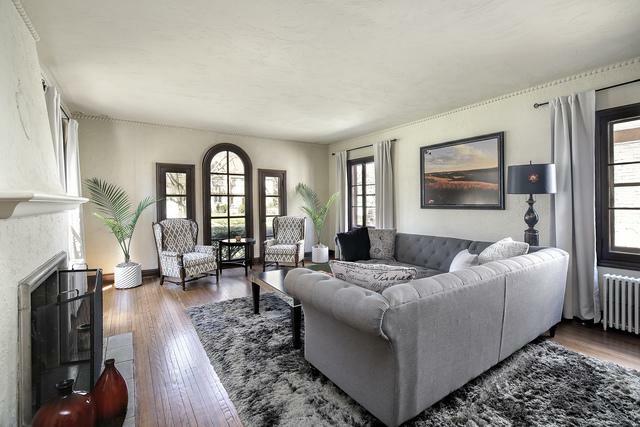 Elegant living room boasts dramatic arched doors and curved windows. Custom moldings, millwork and original hardware throughout home. Formal dining room has built-in storage. Bathrooms have been updated with charm. LArge family room overlooks the back yard! 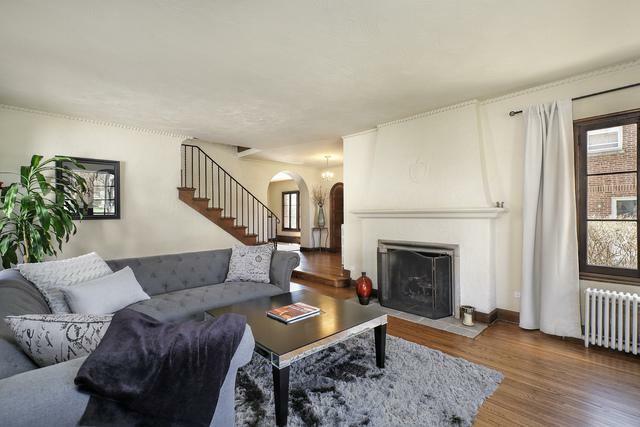 Great lower level with a rec room, additional bedroom and bath. Walk to train, Sears School, New Trier and beach! Charm Galore!